Between family, work, and community obligations, Danny visited the Oklahoma State Capitol to stand with teachers and lobby legislators to support Oklahoma Public Education with increased funding. Danny was very happy to volunteer his time to drive a rented school bus on three separate occasions with teachers, parents and education advocates on board. Other events that Danny participated in included multiple sign-holding events around the Ada community. These events were to help raise awareness for the ongoing battle that Oklahoma teachers and students are fighting. Danny's wife, Janel, has been a teacher at Byng Public Schools for 19 years. Janel has continued to advocate for public education funding by visiting the State Capitol as her schedule allows. Pontotoc County had great representation at the Capitol during the Walkout and continues to send advocacy groups. 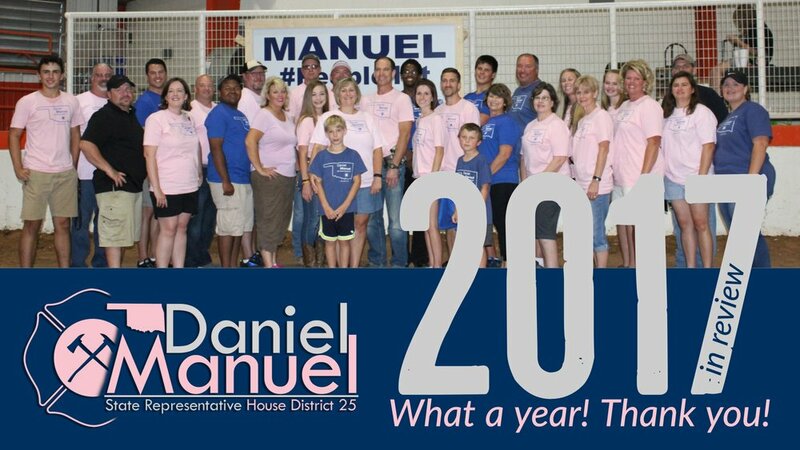 Danny is a proud supporter of Oklahoma Public Education and has demonstrated his support time and time again, hosting education rallies, holding signs, lobbying legislators, and campaigning for ballot measures that would've benefitted public education.